The refractive index and optical absorption of solutions of crude oil in toluene were investigated. It was found that the optical properties of systems with an extremely low content of macromolecular substances deviate significantly from Bouguer-Lambert-Beer and other laws. The sensitivity of the refractive index to association of the macromolecular components of hydrocarbon systems was revealed. 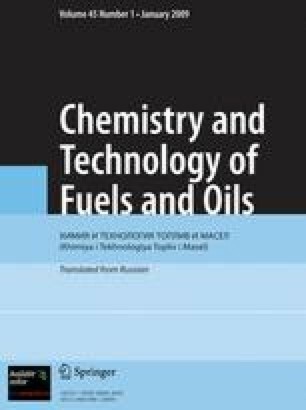 To increase the accuracy of the analysis, the necessity of a detailed study of the optical properties of associative hydrocarbon systems before plotting calibration curves was demonstrated. Translated from Khimiya i Tekhnologiya Topliv i Masel, No. 2, pp. 38–40, March–April, 2007.